The hope of a successful salvage operation is over. 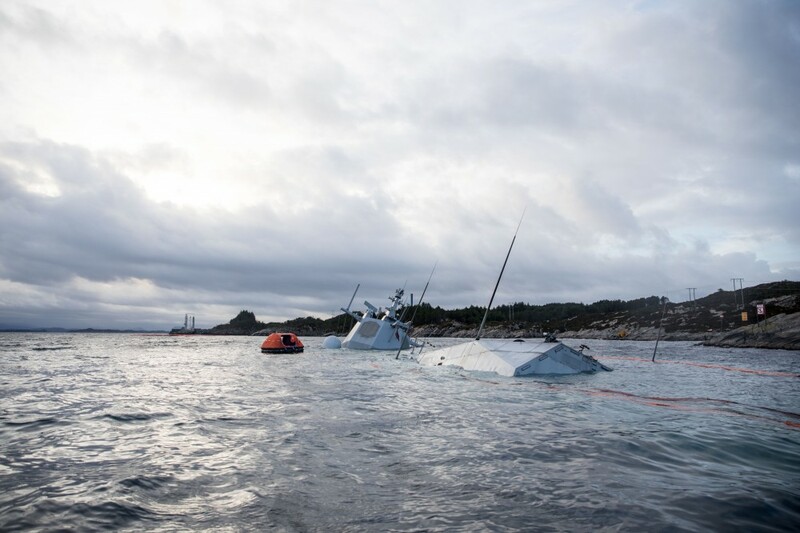 “KNM Helge Ingstad“ sank deeper in the water during night to Tuesday, photos made public by the Norwegian Defense show. Tuesday morning, most of the navy ship is under water. 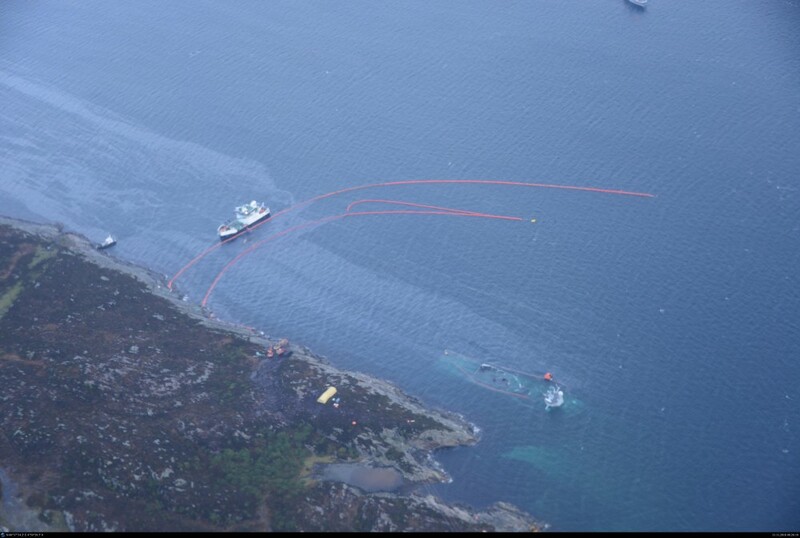 Last Thursday morning while it was still dark, “KNM Helge Ingstad” and the giant oil tanker “Sola TS” collided in Hjeltefjorden, north of the Sture crude oil terminal in Øygarden municipal in Hordaland on the west coast of Norway. 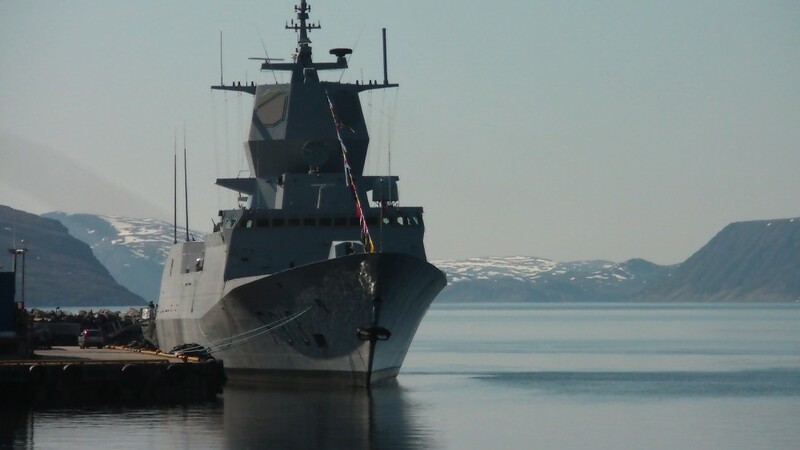 The warship, one of Norway’s five top modern frigates, was on her way home to Haakonsvern naval base after participating in NATO’s large-scale exercise Trident Juncture. It is still a mystery why the well-equipped warship couldn’t avoid colliding with the 250 meters long oil tanker just north of the oil terminal. The weather was good, the waters in the area has real-time shipping control systems, there was radio-contact between the vessels up front. And, maybe the biggest unanswered questions: Why couldn’t the easy-to-steer frigate, with all its radars and sensors, manage to change course? 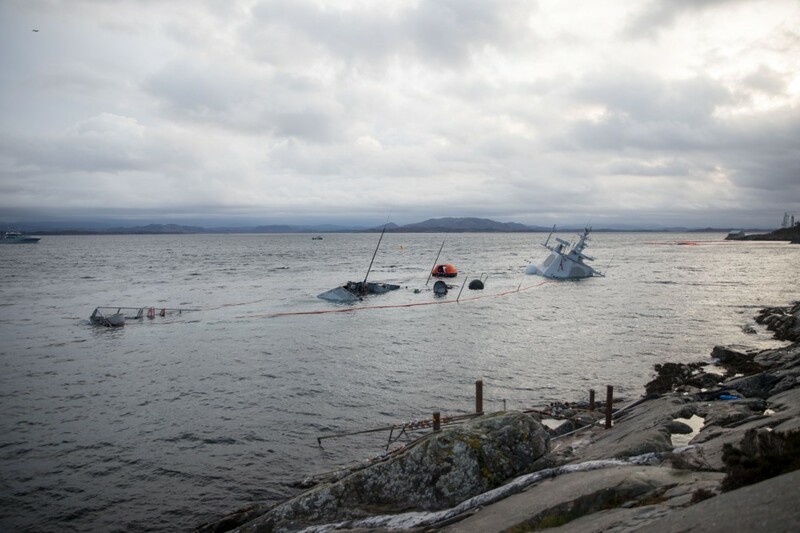 While an official investigation is launched by the marine department at the Norwegian Accident Investigation Board (AIBN), the navy in cooperation with others have worked around-the-clock to secure the wrecked frigate. 10 wires were bolted to the rocks onshore, but several of the wires were broken during the night to Tuesday. The photos from the Defense shows that only the radar-tower of the frigate is over water. The warship still has all weapons on board. Click here to see the photo gallery of the frigate during the salvage operation before the navy ship sank. Norwegian newspaper VG has published radar plots and the VHF radio recordings between the Vessel Traffic Service, the frigate and the oil tanker in the minutes before, during and after the fatal crash. The conversations were in Norwegian.